Easter is with no doubt the single most holy day of the Christian church, as it celebrates the resurrection of Jesus Christ, the central event in Christianity. Although many people celebrate Easter for that very special role in the Christian religion, that doesn’t mean that you must follow that faith in order to enjoy and celebrate the holiday. There are many non-religious and non-Christian people who celebrate Easter in a secular way. To make the most of this holiday, you can renew your current goals and commitments in positive ways and or embrace your inner child and get into the fun of the Easter bunny. Children across the country love participating in Easter egg hunts. 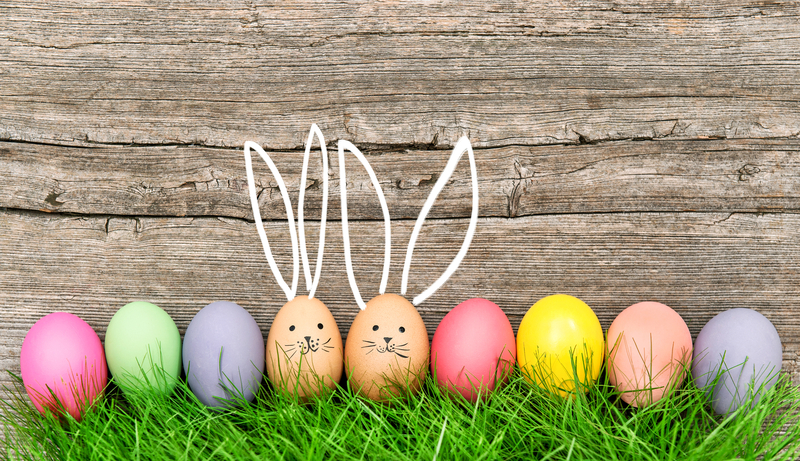 Many cities and towns put on large-scale events for local children, or you can host an egg hunt in your own backyard for your kids or those of your friends and family. Simply fill up some plastic eggs with candy, money or tiny little gifts, then hide them around your home or yard. Be sure to take into account the ages of your egg hunters, though. You don’t want your hiding places to be too difficult for the little ones to find, but you do still want to provide a bit of a challenge. There are many ways and types of Egg Hunts you can have, just be creative and fun. This is another popular non-religious Easter activity. You can pick up an egg dyeing kit at just about any supermarket or drug store in the weeks leading up to the holiday. Grab a carton of eggs, hard-boil them, and let those creative juices flow. You’re free to decorate your eggs any way you wish, so take the time to play around with different dipping techniques with the dye. After you’re done, you can use your masterpieces to make deviled eggs or some other delicious treat! A newer fun way is to make cupcakes and decorate the tops like Easter eggs complete with frosting, cookie and candy pieces and even jelly beans. While many people use holidays as an excuse to drink and get drunk, Easter tends to be a bit friendlier to those who prefer to remain sober. Because many Easter activities take place during the day rather than at night, there is less pressure to imbibe during the festivities. There are countless events and ways to celebrate from movie day, Easter brunch to Easter dinner. You can have a cake bake cake walk or better yet a cupcake social. If you need additional help staying sober, check out all of the incredible products we have here at My 12 Step Store. Keep a sobriety chip in your pocket to rub when you need a bit of extra strength, or study the AA Big Book at night before you go to bed to help you stay strong. Browse through our selection today for everything you need for your sober life. This entry was posted in Uncategorized and tagged celebrate, Easter, religion, sober, sober living. Bookmark the permalink.